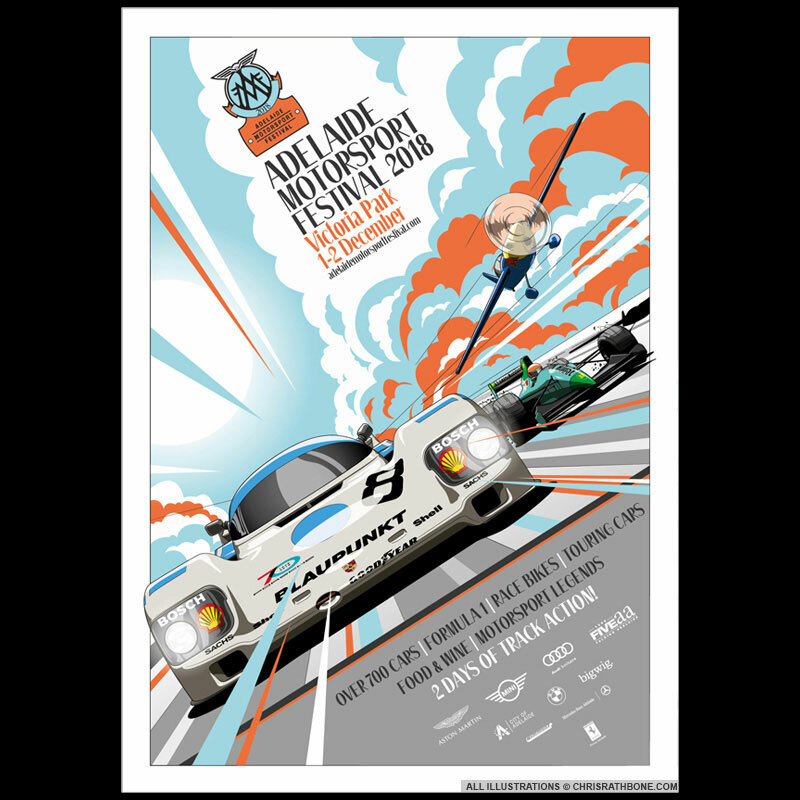 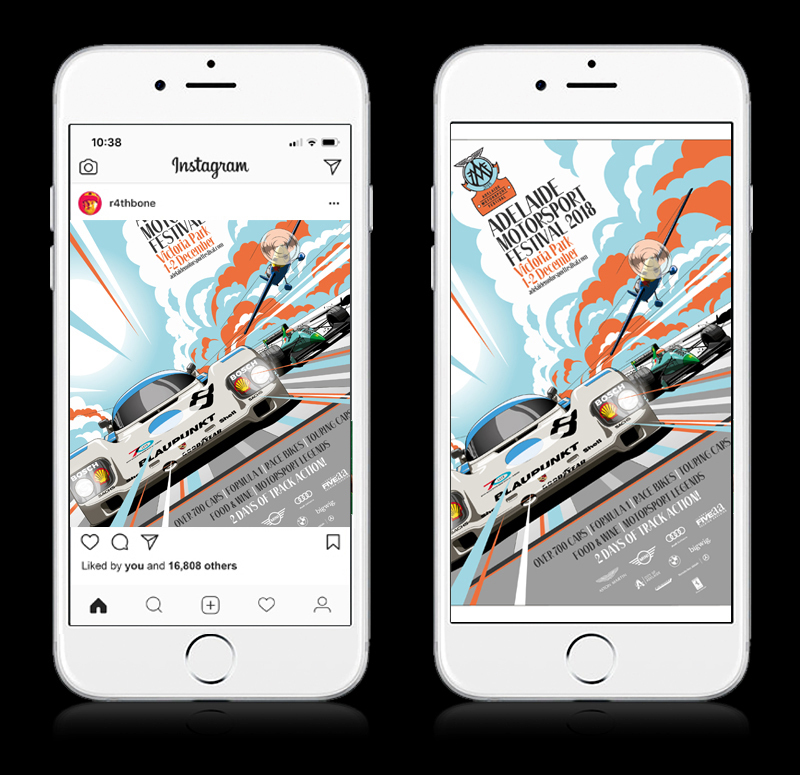 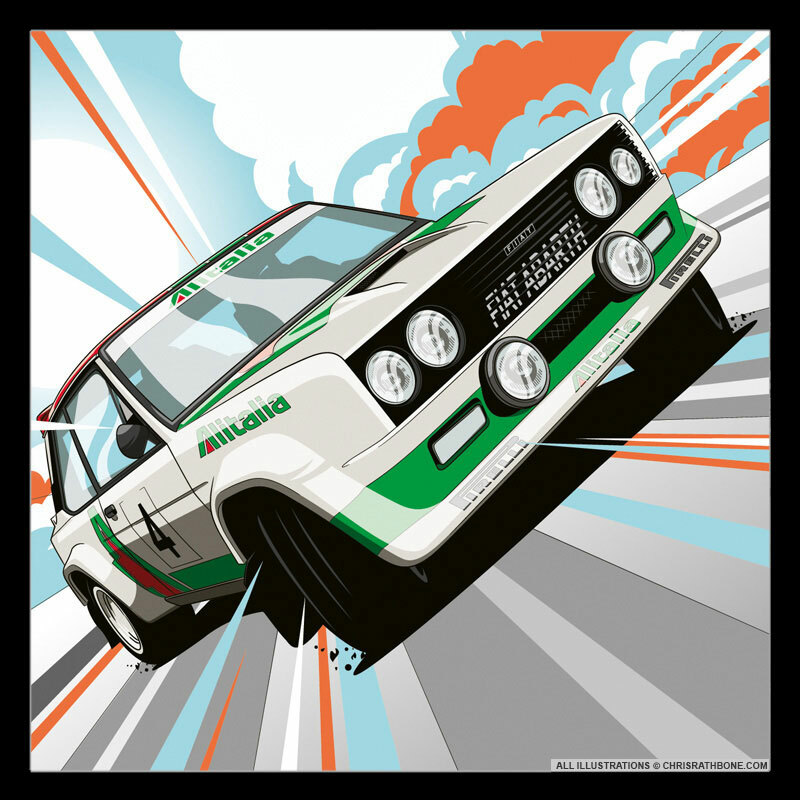 I was commissioned to illustrate and design the 2018 Adelaide Motorsport Festival poster, and the supporting literature. 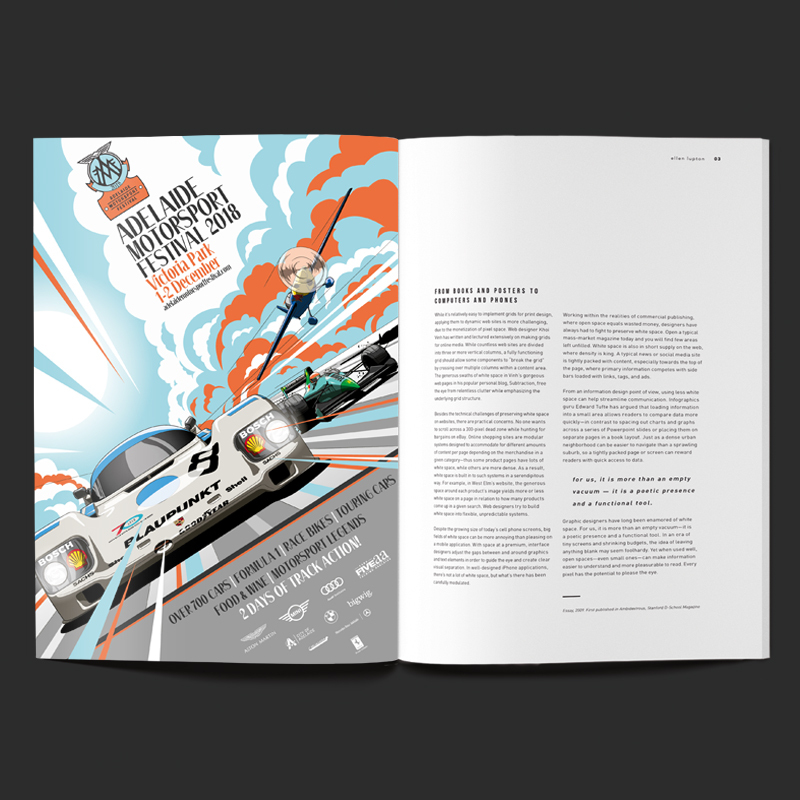 The key vehicles at the event were the 962 Porsche and the Leyton House March F1 car, and also a Red Bull Air Race plane which were all featured on the poster. 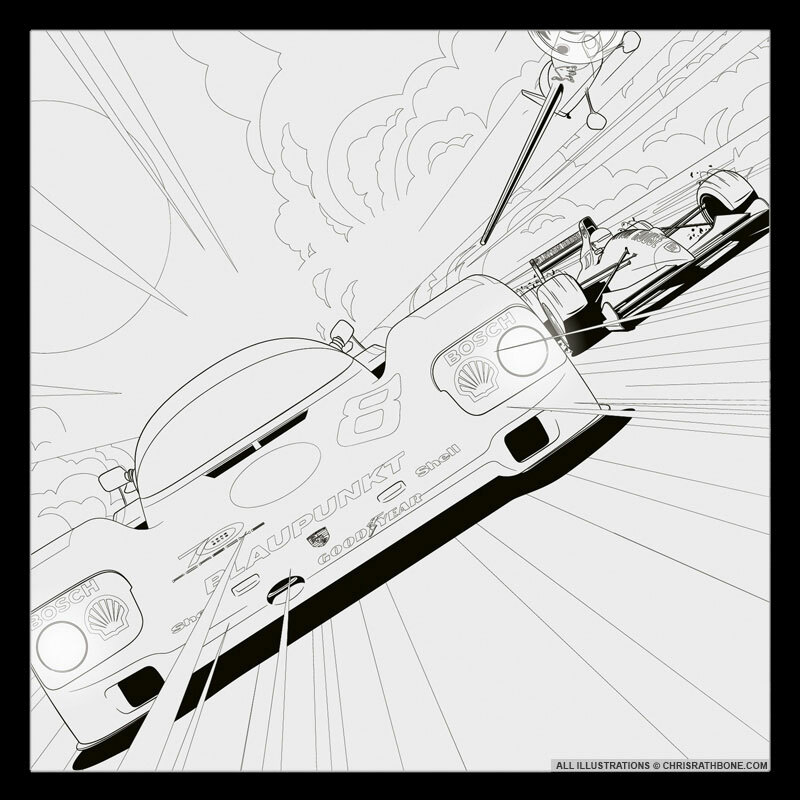 All work and images are © Chris Rathbone and cannot be used without written consent.